If you prefer boutique cigar makers, are you an enlightened cigar smoker, or a cigar snob? A wine snob’s philosophy might be summed up in six words: Big is bad, small is good. From winemakers who tout the tininess of their yields to retailers, sommeliers, and collectors who wield the “boutique” word, small is a synonym for quality. Big, on the other hand, is almost automatically assumed to be bad. Any wine produced in large quantities by a large winery must surely be the work of a machine and a marketing team and not a sensitive and caring family. And yet there are plenty of exceptions to this wine snob rule. There are many good, even world famous, wines made by big wineries and some real dreck turned out in tiny amounts by winemakers who are a one-man or one-woman show. What are the real virtues of small versus large? I’ve always said there are many parallels between wine and cigars, and this is no exception. The personal connection—forged, perhaps, by meeting a cigar maker at an event, or simply because you can more easily identify the single person most responsible for the cigar you’re smoking—is a large part of the propensity towards boutique makers. 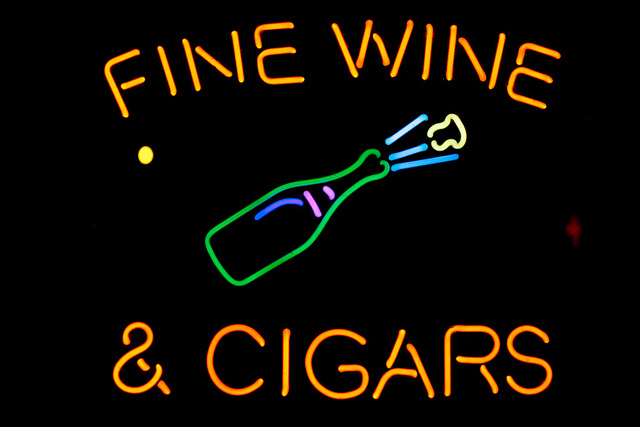 But the analogy between wine and cigars isn’t perfect. The smallest winemakers turn their grapes into wine on their own equipment. (I know someone who buys grapes and uses equipment in their own garage to make wine.) Whether a small vineyard or an even smaller garagiste, they make their product on-premises: crushing, pressing, and fermenting. For cigar makers, “boutique” brands are mostly rolled at someone else’s larger factory. There are, of course, exceptions—RoMa Craft Tobac owns and operates its own factory, Nica Sueño, for example—but most cigars identified with boutiques are actually made at a larger factory owned by someone else. A larger-scale wine maker gets economies of scale from larger fermentation tanks and more automated bottling lines. But whether a cigar factory makes 100,000 cigars a month or 100,000 cigars a day, each handmade cigar is made the exact same way. A skilled bunchero and rollero will pretty much have the same output in a large factory as they will in a small operation. Making each cigar is a labor-intensive process that, so far, no technology has been able to reproduce to the quality that premium cigar consumers expect. Marketing can be done at scale, but advertising can only get a consumer to try a cigar once, not go back for another. What does all this mean? Fundamentally, while you can appreciate craft or boutique cigar companies, yes, there is something snobbish about automatically dismissing a cigar because the company behind it is a multi-national corporation. The truth is, cigar makers of all sizes have their advantages. Small cigar companies make excellent cigars. So do large ones. Ultimately, each cigar must stand on its own and provide the consumer good value. With so many good cigars out there, there’s little reason to smoke mediocre cigars. I’ve never bought into the belief that boutique means better. There’s plenty of examples of small-batch garbage, whether its cigars, wine, beer or any consumer good. And if the FDA’s cigar regulations are not modified, many of these truly small-shop cigars will have a hard time surviving.